A look inside my premium trading service, the Inner Circle private trading community. If you are interested in seeing how the service all works along with what is included with the program, give this video a watch. How do charts work? The better question is how do charts “actually” work? There is so much false information out there about charts that I wanted to get this video made. Many people believe charts predict the future, but is this really the case? Free educational content. It is literally everywhere you look. In this day and age of the internet, information is literally at your fingertips. However, in the world of trading, this free education is a potentially huge death trap for your success long-term as a trader. Is “free” actually “free”? Let’s discuss this topic. Why do 90% of retail traders fail in their trading ambitions? Mainly because they treat the stock market like it is a Las Vegas casino. Is there a way to take advantage of “traders” with this lazy type of mentality? Yes there is! How? I show one strategy in this video. I discuss the massively important variable of education. While I understand some people may think this is simply a sales pitch since I sell courses, I put my money where my mouth is and break down to the cent how much money I invested into my education before getting started in my real estate dealings. 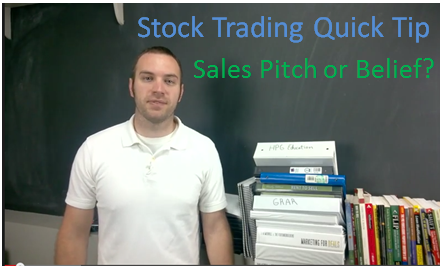 Watch as ClayTrader presents a Stock Trading Quick Tip. 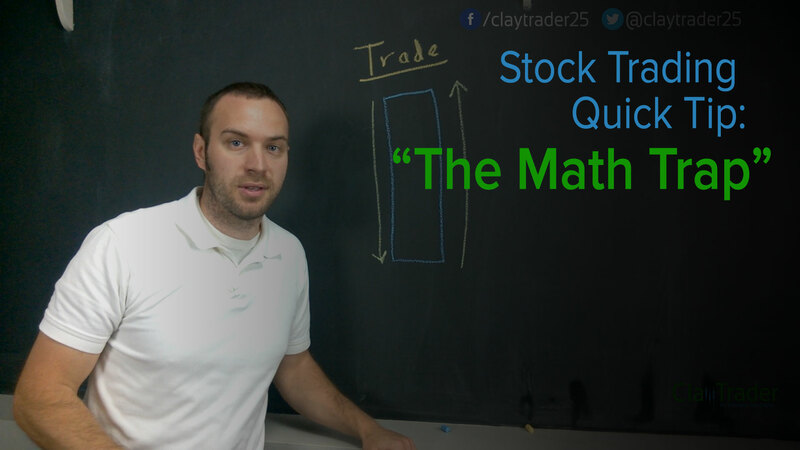 In this tip ClayTrader touches on “The Math Trap” a simple concept that is often overlooked when learning to trade stocks. Check out this quick tip as well as other videos from ClayTrader.com to improve your stock trading and technical analysis skills. One of my favorite, but often overlooked, stock trading tools is the use of Fibonacci Extensions. Whether you are looking for an area to lock in some profits, or an area to initiate a short position, this technical chart tool can be very useful as this video shows. A trader’s toolbox is one of the most important assets you can have. Whether you are a new stock trader or have solid experience with stock trading, adding the “live chat room” tool to your toolbox is something definitely worth considering. Throughout my years of stock trading experience, there has always been a constant stream of questions and comments I receive that clue me into the fact that many traders do not truly understand how technical analysis works.